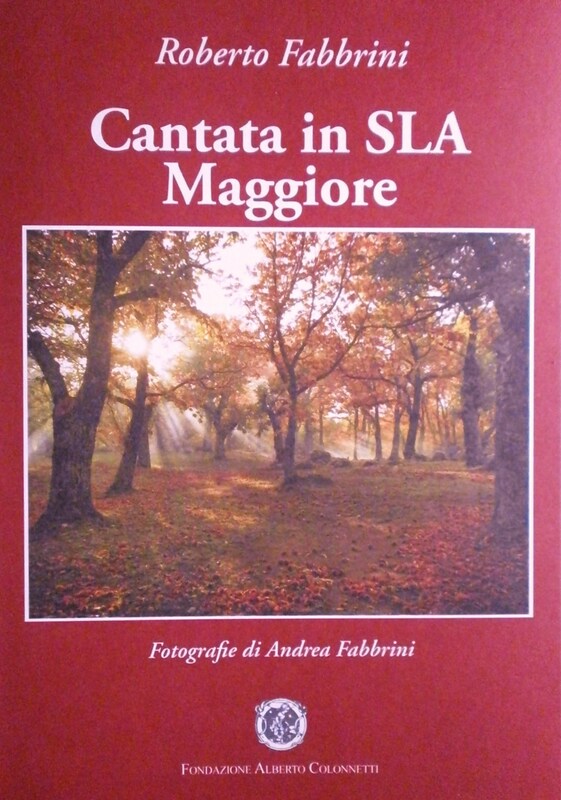 This entry was posted in 2011, art, articles, articoli, attualità, books, brain, health, media, people, Siena, società, society, stories, theatre, writing and tagged Abbadia San Salvatore, ALS Amyotrophic Lateral Sclerosis, Andrea Camilleri, Andrea Fabbrini, art, books, Cantata in SLA Maggiore, communication, Controcanto, Corriere di Siena, cultura, culture, Fondazione Alberto Colonnetti, italy, Libri, media, news, Osa Onlus, Paralysis, Poesia, Poetry, reviews, Roberto Fabbrini, SLA Sclerosi Laterale Amiotrofica. Bookmark the permalink. I have to shout to the world & all ALS sufferers that we can not depend on Modern Research to find the Cure. exhausted all possibilities to reach the true Goal of finding the cure. Sure, they are continuing their search but they are going in the wrong direction & wasting valuable time. into going beyond this route despite the clues or evidence points that this is the direction where the cure is. But We as a Research Agency has gone that Route. Many Amyotropic Lateral Sclerosis folks are already aware of a treatment for ALS that is available Over-the-Counter. for ALS and Multiple Sclerosis too. researched by Modern Medical Researchers. And the most important part is O.T. is successful in – animal trials of autoimmune diseases. The reason animal trials were positive is because in most cases the animals were young – their immune system were producing good amounts of the missing factor – CD80/CD86. The suppressor T cells – our attention should be on this cell because it is responsible for lowering antibodies (immunoglobin G) and can bring total healing. 1.) a peptide similar to myelin Basic protein – a tiny dose 1 mg. this primes or makes ready the T cell. But without the 2nd signal the T cell remains in anergy( no activity). 2.) the Second signal – is CD80 or CD86 – either one is enough to make the T cell go thru the changes that makes it fully activated cell. above are the important ones because they answer & complete what is needed in Oral Tolerance. It is the Second Signal where Modern medicine has not progressed further & failed. 1.) VEGF(Vascular endothelial Growth Factor) – expression increased by Chinese herb Angelica sinensis. 4.) INterleukin-2 – expression increased by Goji berries. The important fact is CD80 And/or CD86 -the missing ingredient can be induced by Herbs. 1.) Agaricus bisporus – can induce CD80 . Agaricus bisporus is the white Button mushroom or champignon mushroom found in most U.S. and Canadian supermarkets. We have just proven that the answer to autoimmune diseases including ALS is Modern Medicine’s Oral Tolerance combined with herbs . All INFo here are True and you can search these thru the internet. Look up the words – Oral Tolerance, T suppressor cells, Dr. Polly Matzinger, T cells & Second signal, CD80 & CD86 – all of these can be verified & found in the internet and in medical journals – you’ll see they agree with what is written here. But Modern Med. research has a handicap. both the medical community & ALS patients worldwide. But we have been turned down. All Research agencies have partnered with Drug Companies whose policy is not to go into Herbs research. If they spend millions on herbs, herbs can not be patented so people will not get it from the Drug companies since they are available from stores & other sources. Lux Research – a division of Lux Health Resources has done the research & is successful in trials.
. Severe – 6 to 8 treatments. I’ve learn several just right stuff here. Definitely value bookmarking for revisiting. I surprise how so much effort you place to make one of these great informative site.